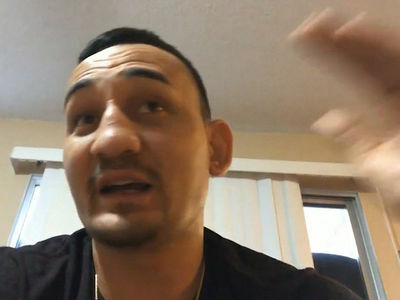 UFC star Max Holloway is stepping in to fight arguably the scariest dude on planet, Khabib Nurmagomedov, on 6 DAYS NOTICE ... and he's somehow super chill about it! 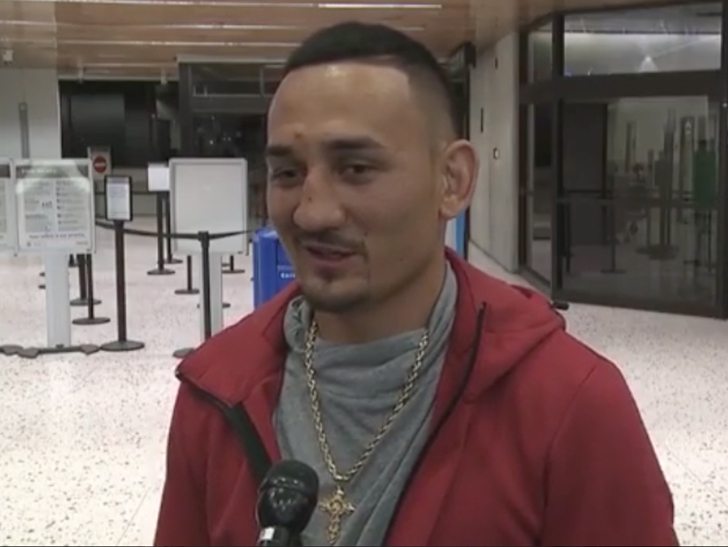 Max got interviewed at the airport on his way outta Hawaii ... and made it clear that he's pumped to be the late replacement for Tony Ferguson at UFC 223. "They called the right guy. I'm here. 6 days notice. April 7th. It's gonna be a great night," Max told KHON's Rob DeMello. As for his thoughts on Khabib, a 25-0 fighter who used to WRESTLE BEARS as a child -- "Animal. Animal." "But, you know what they say -- to be the best you got to beat the best, and the best is Blessed, baby, so I can't wait." FYI, the winner gets the UFC lightweight belt, and probably the next shot at Conor McGregor ... so you can see why Holloway, the featherweight champ, ain't sweatin' it too hard. 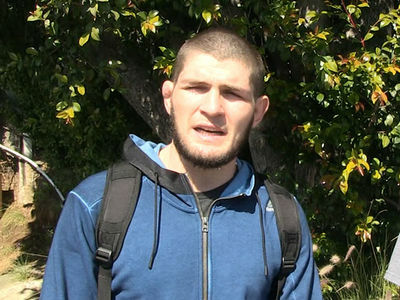 Khabib Nurmagomedov: Conor McGregor's UFC Career Is Over, '100%' Getting Stripped!